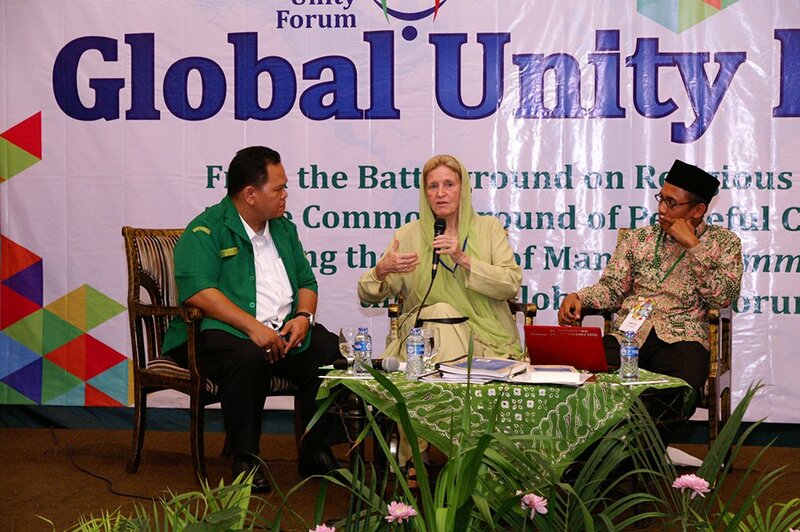 The day-long event featured expert presentations and detailed discussion of the historic relationship between Muslims, classical Islamic law and those who adhere to other faiths. 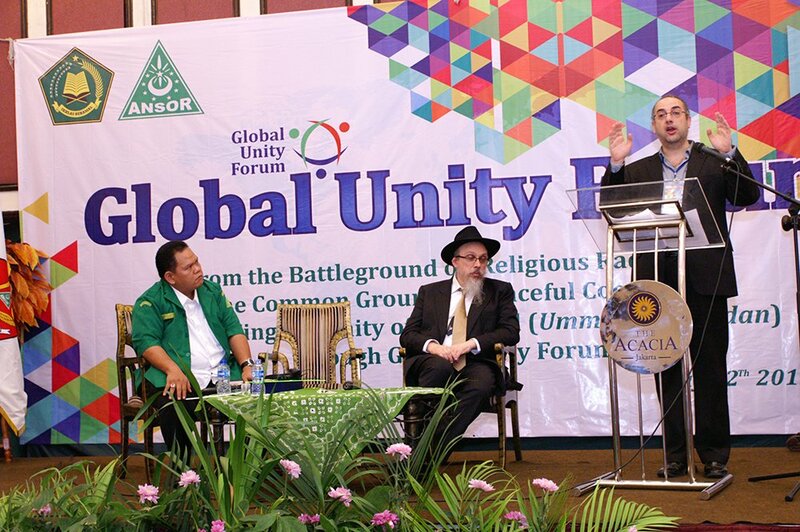 Speakers included H. Yaqut C. Qoumas, Chairman of GP Ansor; KH. 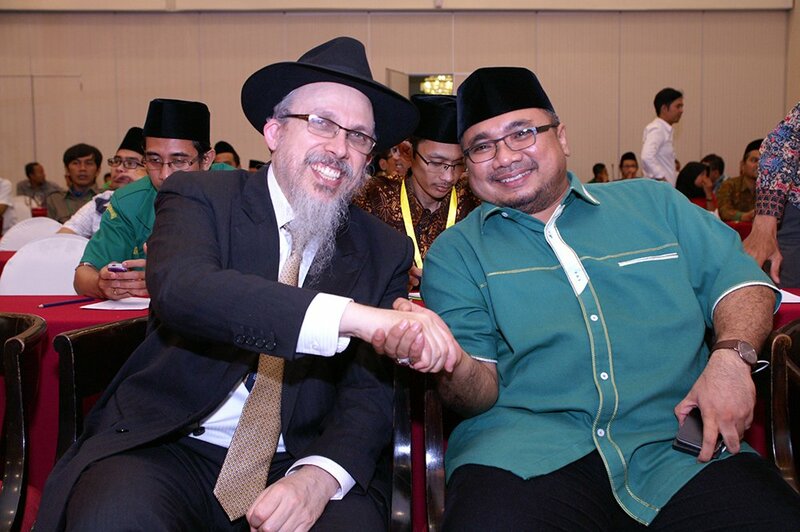 Yahya Cholil Staquf, General Secretary of the Nahdlatul Ulama Supreme Council; Abdul Aziz Wahid, Chairman of the Jakarta chapter of Ansor; Dr. Samuel Tadros, an Egyptian Copt and resident scholar at the Hudson Institute’s Center for Religious Freedom; Rabbi Mordechai Avtzon, Director of Chabad Hong Kong and China; and Virginia Gray Henry, Director of the inter-faith publishing house Fons Vitae. 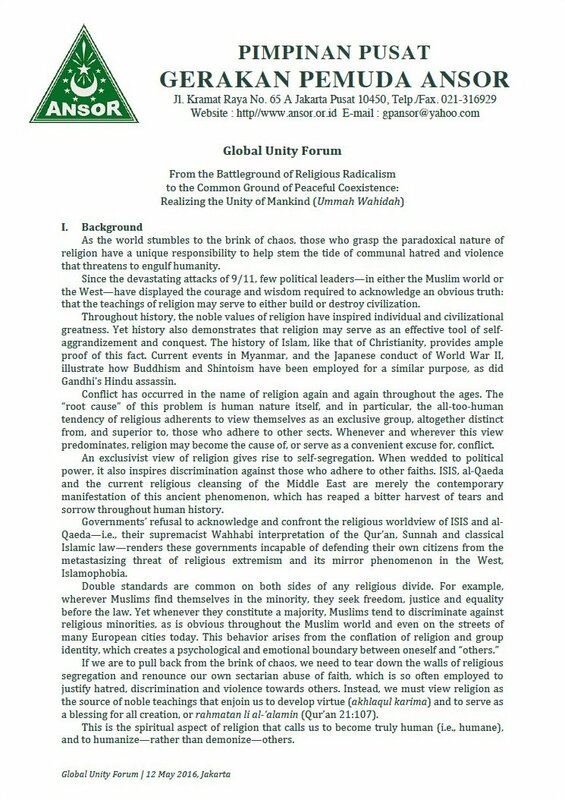 According to senior NU and Ansor leaders, the declaration issued at the Global Unity Forum provides the requisite theological grounds to summon an international gathering of Muslim scholars (bahtsul masa’il), whose deliberations are expected to establish a road map for the reform of classical Islamic law, in order to meet the needs and circumstances of Muslims living in the 21st century.